I first fell in love with Hairspray when I was an early teen. I went to the cinema with my friends on my 13th birthday to watch the film adaptation of the classic musical, and became totally obsessed with it. Those who know me well, know that not much has changed on that front in the past 11 years. From Without Love to I Know Where I've Been, from Welcome To The 60's to my personal favourite, Run And Tell That, it is safe to say that Hairspray was a huge part of me growing up and a musical I still adore. Luckily for me, Hairspray the Musical is arriving on my doorstep next month at Wolverhampton Grand Theatre. 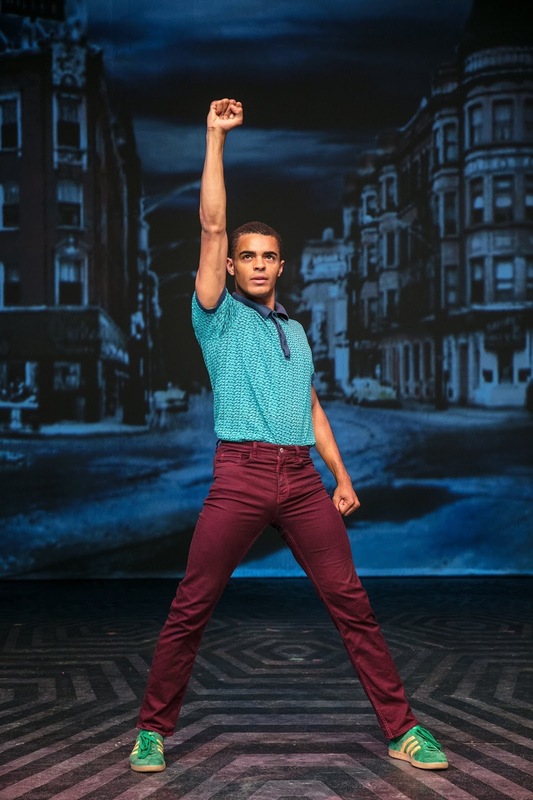 Layton Williams is taking on the role of the super charming Seaweed J Stubbs. Ahead of the show, Layton known for his hilarious role of Stephen Carmichael in Bad Education and a whole host of shows on London's West End, has revealed everything we want to know about the production and what he is getting up to outside of Hairspray the Musical. For those who don’t know, what’s the story of Hairspray? Hairspray is a show for everyone! It is loosely based on a true story. Set in 1960s Baltimore, Hairspray is about a girl called Tracy Turnblad who dreams of being on this dance show, The Corny Collins Show. But, Tracy is not allowed on the show because they say she is too big and she doesn’t look like the people that are already on the show. Tracy meets my character, Seaweed, in detention and through dancing he gives Tracy the confidence and belief in herself that you can do what you want no matter who you are, where you are from or what you look like. Eventually Tracy gets on The Corny Collins Show and realises that it’s not just her that has been denied approval. She begins to fight for Seaweed and his friends to be able to dance with her on The Corny Collins Show. We all riot together for equality and to make The Corny Collins Show integrated. It’s an incredibly fun show but also spreading a really important message at the same time. It’s a really fabulous show for everybody! 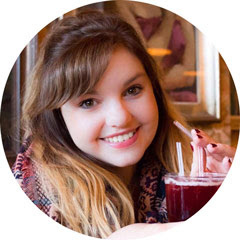 Could you tell us about Seaweed J Stubbs and what attracted you to the role? We first meet Seaweed J Stubbs in detention with Tracy. He is a very welcoming character and open to everyone regardless of whether it is seen as cool or not. He is very different to the way I am in life and from the last role I just did which was playing a drag queen in RENT. That’s what attracted me to the role of Seaweed. It’s really important for me to be able to switch up what I am doing and not play the same kind of roles all the time because as an actor you want to be versatile. I was actually quite nervous about playing Seaweed! I have been running around in heels with my lashes, my wigs and my lipstick for a whole year so I was very much in that mind set but I thought it would be nice to switch it up, pop on my trousers, get myself a girlfriend and have that different vibe. There are vocal challenges to the role of Seaweed as well – the songs are high and packed full of energy which I have been really enjoying this time round. Singing is something that only now am I starting to become confident with as a performer. With Seaweed, I thought I might as well throw myself in at the deep end and learn to sing these big songs…8 shows a night! I am really, really enjoying those challenges and that’s what it was that drew me in to playing Seaweed. Obviously, in the last tour I was understudy for it but didn’t really get the chance to put my stamp on it and now I feel like I have done that. Why do you think Hairspray has such an enduring appeal? Why is it still so relevant to 2017? I think no matter when the show has been out or when the movies have been aired, it has always been a relevant time whether that is today, 10 or 30 years ago. We have always been going through struggles, there is always some sort of craziness going on in the world so we need that release. People need that 2-3 hours of being able to laugh and cry and be entertained and I think Hairspray is the perfect show for that. Do you have a favourite moment or song in the show? Why? I think my favoruite moment in the show has to be Run and Tell That. As a performer you want to go out there and really do your thing and Run and Tell That is my chance to do that. I get to show the audience what I am made of during that song. It’s a hugely important part of the story too; Seaweed is telling the world about this lifestyle and bringing those other people into that world which is what we should all be doing. It’s also one of the the moments in the show where we really get to dance too, it’s such a good vibe for us and the audience. We always want to create that energy throughout the show for the audience, every night, but especially during Run and Tell that because that’s when they really feel it. What do you consider your greatest achievement or highlight of our career away from the stage? One of my biggest highlights probably has to be the night I had my movie premiere for Bad Education. It was one of those times where I was just looking around and pitching myself. All my best friends were there, including my best friend, Jordan Laviniere, who is playing Duane in Hairspray. I saw my best friends on the red carpet and that was the moment it hit me that I was at a movie premiere and one of the lead actors in the film. I had never expected that to come of a show I had been in since I was 14. Even if that doesn’t ever happen again, which hopefully it will, I’m happy to say I have ticked that box. As a performer there are certain things that I set out to do, whether it’s a film, a music video, or a musical and that was a definite highlight of mine. 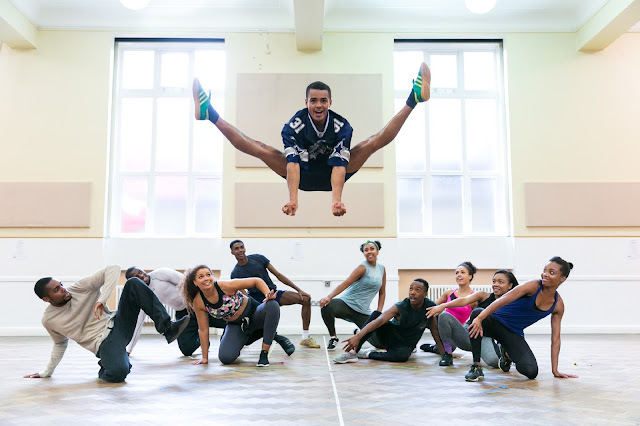 While you have been on tour with the show, you have been doing a series of dance workshops around the country, could you tell us a bit about them and what inspired you to set up DanceWithLayton? I started DanceWithLayton when I was about 16. I had been working with my school, Italia Conti teaching and assisting at one of their associate schools in Ruislip for many years. They started giving me my own classes and students to teach which is how I got into teaching. After a few years I thought I needed to spread my wings and maybe teach elsewhere, they have little associate schools everywhere all over the country so I started touring and DanceWithLayton developed from there. It was as simple as me offering a workshop, whether it was a general workshop or something from or inspired by the show I was in at the time. Even if it was just to have a little jig and meet the students then I could come! And it just popped off. Since then, it’s been the only job I do aside from my stage and screen work. I have always wanted to do something that was fulfilling for me, kept me in the game, fit and healthy but also hopefully inspire other people. Through DanceWithLayton I have got to meet thousands and thousands of kids and dancers around the country, I wouldn’t be able to count how many people I have taught over the years, so it’s really fab. It’s something I want to keep on doing until I get too tired which is why I have introduced other teachers because when I get too tired they can do it for me – ha! 2018 marks the 30th anniversary of the original film starring Ricki Lake, Debbie Harry (Blondie) and Jerry Stiller on which the musical is based, if you could adapt any film into a musical which one would it be? Oh! I have always said Moulin Rouge, I think they have just started make that into a musial now now for Broadway but that was my choice for ages. Imagine what a musical that would be! Hairspray the Musical takes to the stage at Wolverhampton Grand Theatre from Monday 26th February - Saturday 3rd March 2018. Find tickets here. Birmingham's happiest places - as chosen by us!